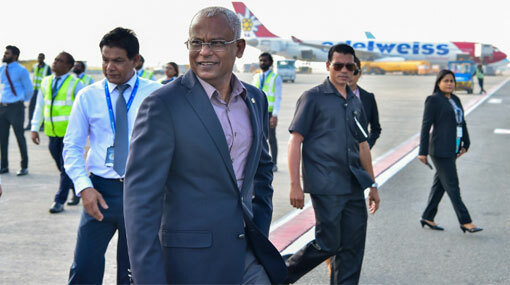 Maldivian President Ibrahim Mohamed Solih will be arriving in Sri Lanka to join the country’s Independence Day celebrations, stated the President’s Office. The Maldives President will be in Sri Lanka from February 3 to 5, to participate the country’s Independence Day celebration which is to be held on the 4th. The President’s Office has not disclosed details of the trip, Maldivian media reports said. This is Solih’s first official trip to Sri Lanka since becoming President. However, he had made an unofficial trip to the neighboring nation last December. This is also his third state visit since assuming office last November 17. His first visit was to India and second to the United Arab Emirates.